Outside the home, we will check the exterior walls, roof, driveway, deck, etc., then we will move inside to examine the walls, ceilings, floors, doors, and windows. The heating, air-conditioning,plumbing, and electrical systems will all be examined to ensure that they function as intended. Bathrooms, kitchens, and laundry rooms receive a thorough check, along with the attic and basement or crawl space. We invite you to come along and watch as we inspect your home, and you are free to ask questions at any time during your home inspection. 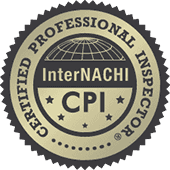 For more information on home inspections, please browse the rest of my web site. If you have any questions, please contact us.